Have Another Cup Of Tea, Duckie! 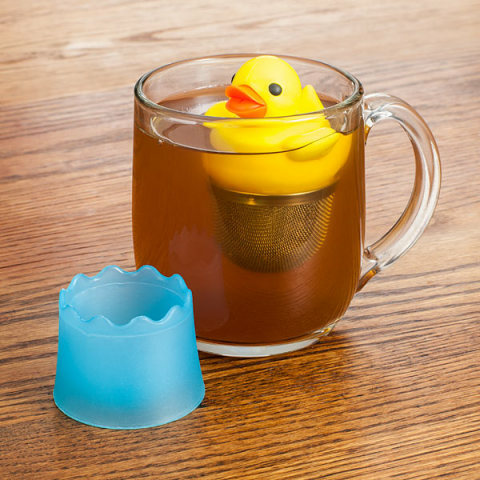 Make tea time more fun with this cute Duckie Tea Infuser. It'll really quack you up! Just put the loose leaves of your favorite tea in the steel mesh infuser and let the duck go for a swim. No more scalded fingers trying to get the infuser out of your cup, just lift the duck out and place the infuser in the in the included drip up. Making the perfect cup of tea will no longer ruffle your feathers. Waddle you do without it? Hand washing recommended. To order or for more information, click here.